I bought this old coffee grinder at an open air market at Piazza Santo Spirito in Florence. 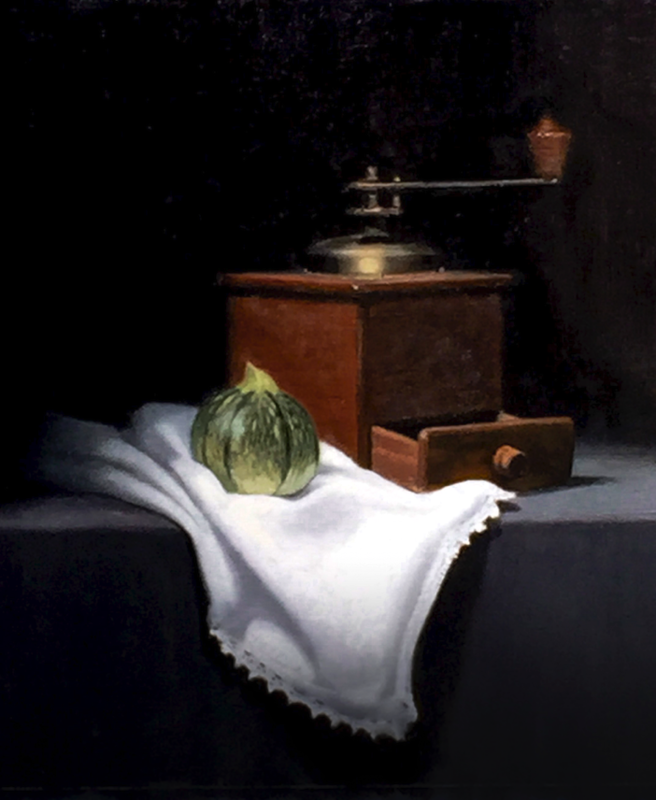 I picked up a round zucchini at the local supermarket and a place napkin from my apartment near Ponte Vecchio, and headed off to the studio at the Florence Academy of Art. This was painted with just three basic colours (English Red, Cobalt Blue and Yellow Ochre) and one or two extra for the vegetable. It was painted 'sight-size' by placing the canvas alongside the objects and standing back several paces to view and measure by sight.